Every community usually has lots of not-for-profit organizations, sometimes hundreds, but few are Community-Based Organizations (CBOs). Surprisingly, most not-for-profit organizations are very small with a narrow mission on which they focus, like: Friends of the Library, a lighthouse preservation organization, animal rescue, land conservancy, a local running or sports club, a service club that collects dues, et cetera. All of these organizations really serve a local niche with a rather esoteric following. And, then there are the big not-for-profit organizations which operate within the community, but do not originate, nor are they governed from within the community. The best example of this kind of agency is the American Red Cross; they exist in almost every community, but are not based in the community. There are also other large not-for-profits, including health and human service organizations like Catholic Charities, nonprofit hospitals and national not-for-profits that have local chapters (e.g., the Sierra Club). These organizations provide a service to the community but are not “of the community.” There are several agencies very similar to the Family Care Network which provide services here on the Central Coast, but they are directed and run from outside the area – they are not CBOs! The National Community-Based Organization Network (NCBON) has created a national CBO definition. And the Family Care Network most definitely fits this definition! First, the governing body and staff are all local residents. FCNI’s Corporate Bylaws require that the Board of Directors is representative of the communities we serve, and of course, all of our staff reside within these communities. Second, administrative headquarters and offices must be located within the communities served; this is clearly the case with FCNI. Our administrative headquarters is in San Luis Obispo, and we have offices throughout the Central Coast, including: Atascadero, the five cities area, Santa Maria and Santa Barbara. Equally important, FCNI contributes substantially to the local economy, employing over 200 individuals. Additionally, FCNI has a practice of supporting our local economy by obtaining goods and services locally. Third, needs and priority issues are indigenous to the community, as defined by community members, and include a broad range of issues. FCNI is involved at many levels within the community, soliciting and providing input on community needs and issues critical to our local quality of life. Fourth, agency programs and services are developed, implemented and evaluated, in collaboration and partnership with members of the community, and serve the entire region. All of the Family Care Network’s 21 programs involve partnerships and collaborations. FCNI participates in a multi-agency collaboration which has adopted universal best and evidence-based practices, training and outcomes. Additionally, FCNI serves families and individuals throughout San Luis Obispo and northern Santa Barbara counties, providing a broad array of programs and services. Fifth, the organization must have the Capacity for Innovation through effective data analysis, creative technological strategies, extensive knowledge, and strong leadership. 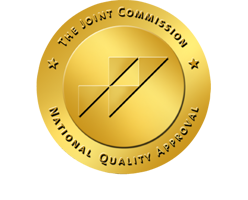 FCNI has been recognized locally, statewide and nationally for its innovation in unique program development, design and efficacy, as well as for effective collaborative partnerships, and exemplary administration and organizational management. “Innovation” is embedded into the fabric of our organization. ✓One out of every five individuals lives are positively impacted by a CBO. ✓CBOs have a huge positive financial impact on the community, spending roughly $200 billion per year on the provision of services. ✓CBOs provide investments in “upstream”, preventative and critical human services interventions that are demonstrated to reduce health care and public services costs, improve the individual social functioning and help clients achieve their full potential in a way that is transformative for our society. The Family Care Network has been a valuable Community-Based Organization to the Central Coast for nearly 31 years – we are an excellent investment into the wellbeing of our community! We have positively impacted the lives of over 25,000 children, youth and families through a broad array of programs. We have assisted thousands of children and youth achieve permanency through family reunification, behavioral stabilization, adoption and preparation for living independently. We have housed hundreds of transitional age youth and homeless families, while providing them the skills necessary for them to become self-sufficient. 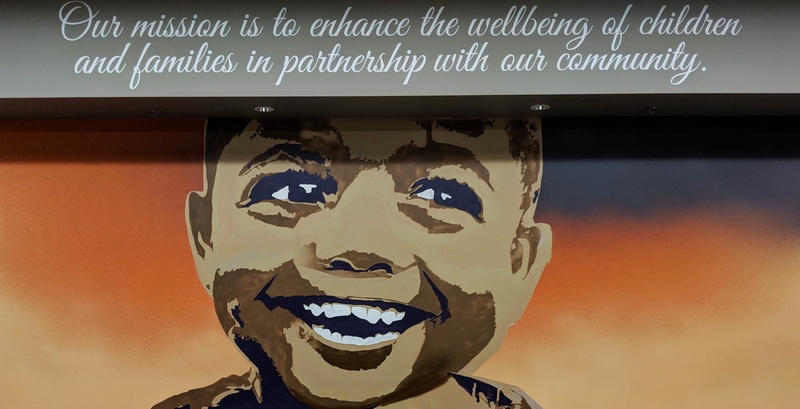 FCNI has served thousands of youth and families by providing mental health services, counseling, guidance and education to enable them to live healthy, “system-free” lives. Our programs have saved the taxpayers tens of millions of dollars! It is my belief, as well as that of our Board of Directors, that our organization must be a leader in developing local, community-based, community funded solutions to our unique social issues and problems. Yes, we are fortunate to receive government funding for much of the services we provide. On the other hand, we do not want to become solely “dependent” on taxpayer funding. As we move forward as an organization, it is our earnest goal to mobilize our community to address local needs, including developing the finances necessary to fund these solutions! We live in a time which is clearly characterized by the inability of our political system to do much of anything positive, especially to address important regional needs. This ineptness is all the more reason for our community to mobilize itself to ensure that we maintain the highest standard of living for all who live here on the Central Coast. Please join the Family Care Network as your Community-Based Organization – together we will continue to enhance the wellbeing of our children, youth and families!